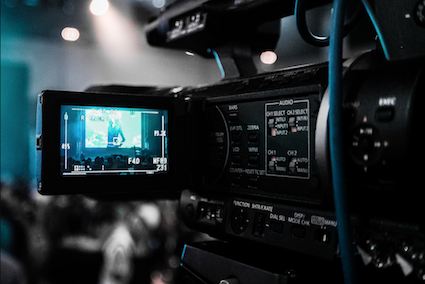 Video is an incredibly powerful way of connecting with your clients. You, as a business owner, can connect one-on-one with your clients and prospective clients in a way that was unheard of 15 years ago. Today, it is so easy to use a phone or tablet to create a video, the quality is reasonably good and connections can be made one to many easily and regularly. For more professional video, access is available and quality video is more affordable than ever. You can create your own commercial with high quality displaying you as the expert in your field to everyone that clicks on your website or Youtube channel. So what sorts of video could you create to speak to your prospects? Each profession will suite various sorts of video. Its a matter of thinking about how can video be best utilised in my business to help my clients. Once you have thought through the use of video within your business, then its the creation of the video that is to be considered. Planning – the script, the message, the location, how the video is to be created, who is to be involved , is it a person speaking or animated video? Post Production – preparing the digital recording into a professional MP4 recording. There’s plenty to think about when preparing a video. The important consideration is the connection with you and your clients and prospects. e. you, as the business owner, only need to say this once on the video and then it can be seen multiple times by viewers so for you it is actually time consuming not having to say the same thing again and again. Consider the ways video can help you. Perhaps, give us a call to discuss opportunities where you can utilise video to help you. Adrienne McLean DTM – SpeakersTrainingCamp International Instructor and the Founder of The Speakers Practice – Adrienne specialises at The Speakers Practice helping clients to confidently deliver presentations for maximum impact. Adrienne has been training presenting to camera programs since 2012 and has been coached by Lou Bortone – US Video Marketing Expert. Next Next post: Confidence Sells!